When you were a kid were you a picky eater? Are you still a picky eater? I wouldn’t say I was overly picky when I was young, but my love for different food has definitely grown ten fold over the years. I think the food most parents struggle to get their children to eat is vegetables. Kids generally crave foods that are sweet and, well, vegetables, they just aren’t. While I don’t have kids myself I have watched kids wrinkle their noses in disgust when a plate of broccoli, green beans, or cauliflower is placed in front of them. The vegetables are lumpy, plain, boring, and worst of all HEALTHY looking. Where is the cheese and dressing dripping off these vegetables, that’s what makes them taste good! So what’s a parent to do? Well I am all for disguising vegetables or mixing them in with other things that kids do like! Take this salad for instance. If you put celery and carrots sticks in front of a kid, they might eat them. 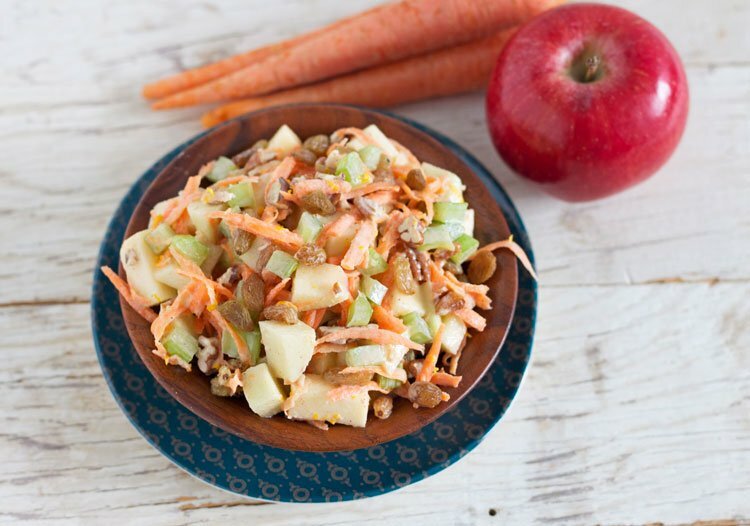 However, if you cut up the celery into small bite size pieces, shred the carrot, add in an apple and some raisins to sweeten it up, and mix it with yogurt, orange juice, and honey, you may just be able to get a serving or two of vegetables into your kid’s mouth. 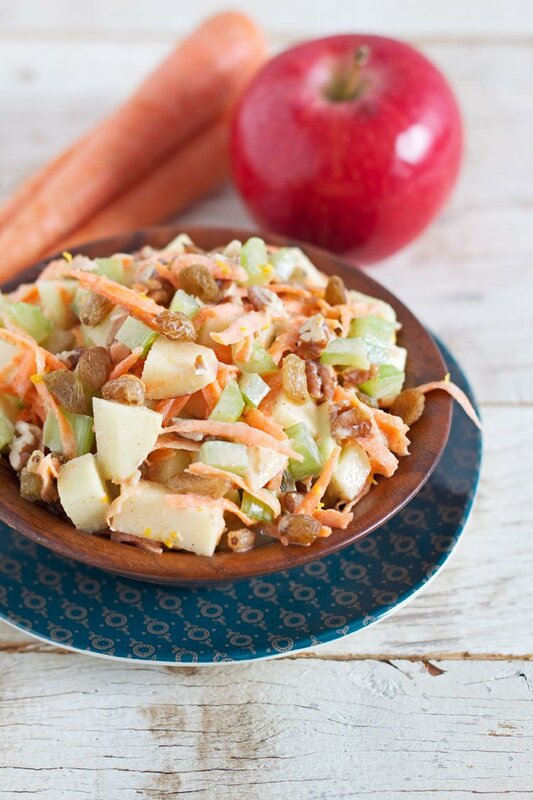 When I was younger I used to love this carrot apple salad with yogurt dressing. Even as an adult today I still love it! This salad is great as a side dish for dinner or would be perfect served at brunch (Easter is just around the corner)! The yogurt dressing on the salad makes just enough so that it isn’t gloopy and you can still taste all of the ingredients. 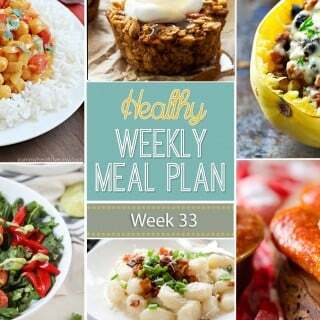 I love all the crunchy texture of the vegetables, fruit, and pecans. 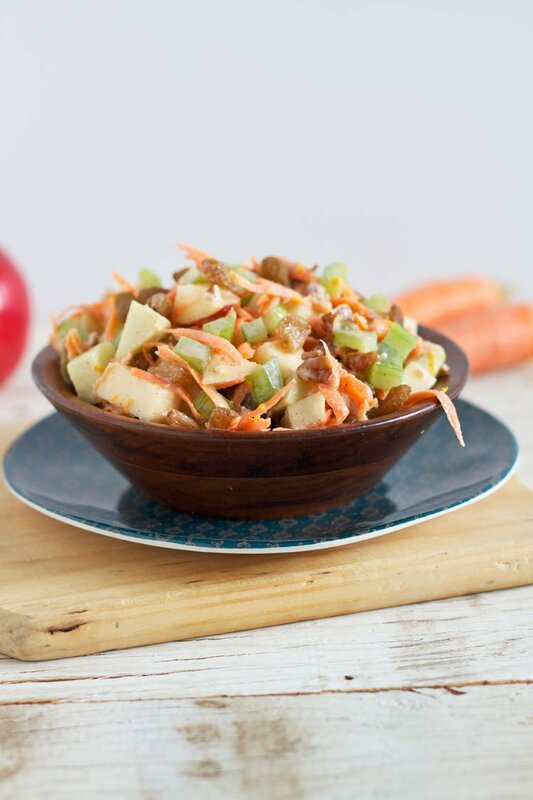 Then those golden raisins, oh I how I love their chewy sweet texture, they are perfect in this salad. 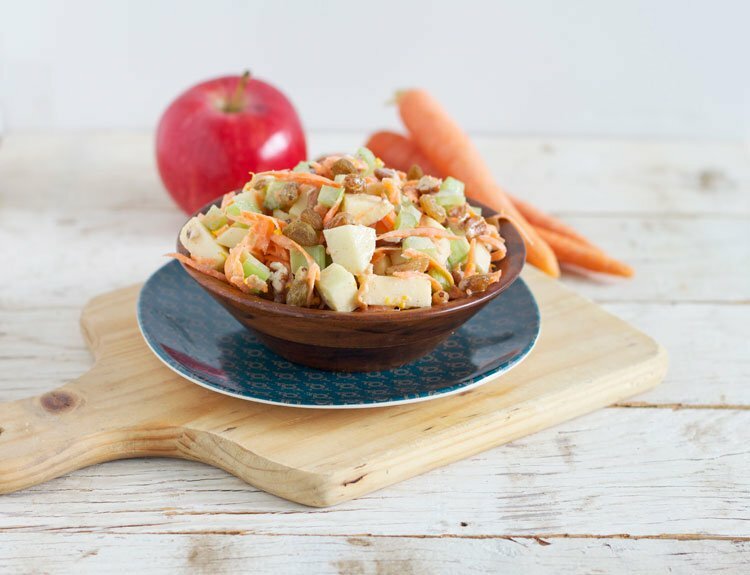 If you struggle to get your kids to eat vegetables or if you struggle to eat them yourself, give this salad a try and see if it won’t change your mind about them! 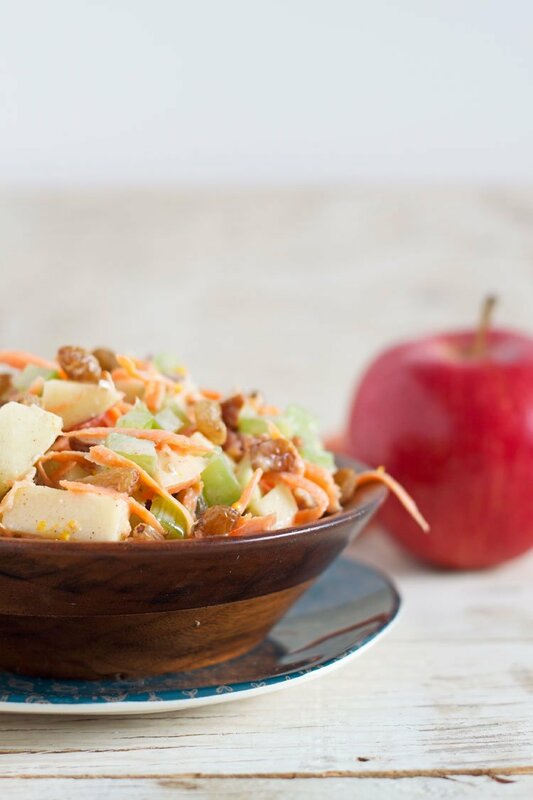 A healthy salad with just the right amount of vegetables and fruit. 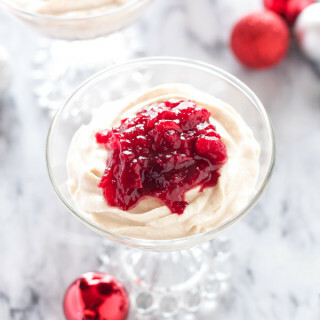 Sweetened with a light yogurt dressing. Perfect as a side dish for dinner or brunch! 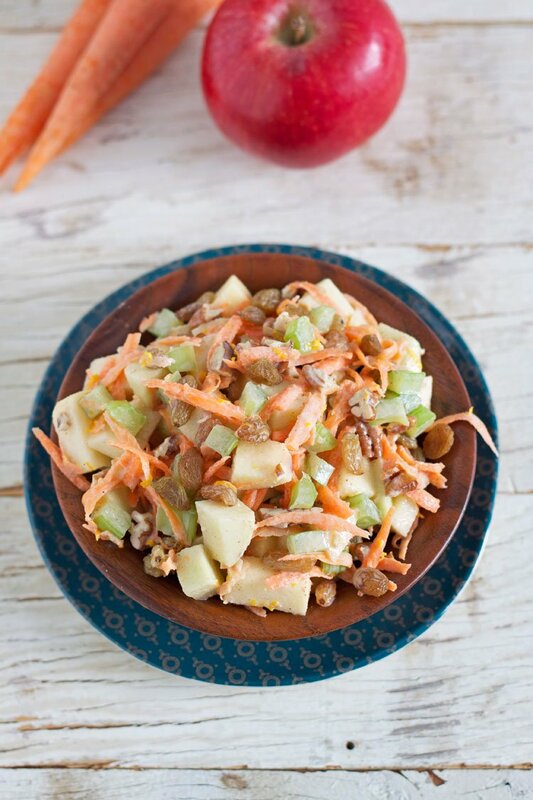 In a large bowl toss together the shredded carrots, apples, celery, raisins, and pecans. Pour the dressing over the salad and mix until everything is coated. This salad is best served and eaten in the same day. If you are planning to make the salad more than an hour in advance, wait to add the pecans so that they stay crunchy. Thanks Jenn! I agree summery salads do help with getting through the winter, can't wait for spring! 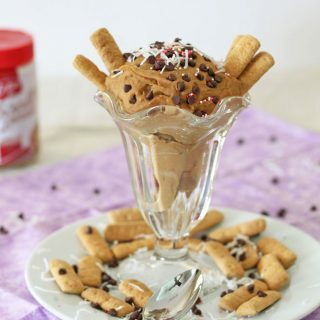 I'm not a kid or a healthy eater, but I'd glad munch an entire bowl of this goodness! Just I little confused with the quantities. The big T stand for? The small t stand for? Hi John. Sorry for the confusion. The big T is tablespoon and the small t is teaspoon.